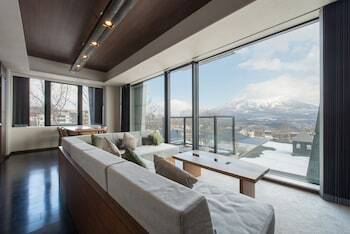 Located in Kutchan, Nozomi Views is in the mountains, within a 15-minute drive of Niseko Mountain Resort Grand Hirafu and Lake Hangetsu Nature Park. Featured amenities include express check-in, express check-out, and multilingual staff. A train station pick-up service is provided at no charge. With a stay at this vacation home in Kyoto, you'll be within a 15-minute walk of Kiyomizu Temple and Gion Corner. Free self parking is available onsite. With a stay at this vacation home in Kyoto (Central Kyoto), you'll be within a 10-minute drive of Kiyomizu Temple and Sanjusangendo Temple. With a stay at Hotel PONTO, you'll be centrally located in Kyoto, within a 10-minute drive of Gion Corner and Sanjusangendo Temple. Featured amenities include a 24-hour front desk and luggage storage. Located in Kyoto, this vacation home is within a 15-minute drive of Kyoto Imperial Palace and Nijo Castle. Located in Yokote, Hotel Route-Inn Yokote Inter is within a 15-minute drive of Kamakaura Museum and Asamai Park.